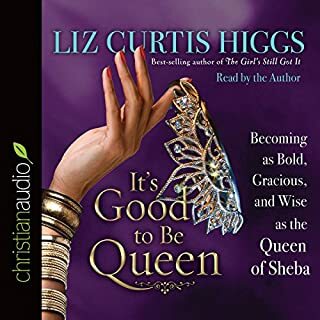 Focusing on Genesis, Higgs looks at Sarah (a control freak), Hagar (who was filled with bitterness), Rebekah (a conniving schemer who played favorites with her sons), Leah (another schemer) and Rachel (who was consumed by jealousy). One theme that emerges clearly is how fertility, or the lack of it, dominated these women's lives in a patriarchal culture. 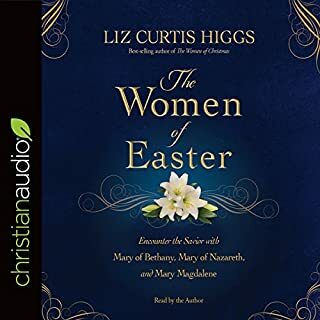 As always, Higgs's tone is chatty and girlfriendish, addressing the listener in the second person as she emphasizes the lesson-and the humor-in each woman's tale. And as always, this one capably blends fictional vignettes of contemporary bad girls with in-depth exegesis of their biblical counterparts' stories. 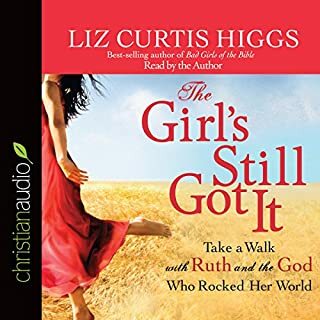 Higgs also reveals her own foibles as she weaves personal anecdotes into each chapter, underscoring the book's overall theme: even faithful women can sometimes be hurtful and selfish. Would you listen to Slightly Bad Girls of the Bible again? Why? I love the way Liz weaves modern day women into the lives of timeless Bible stories. When I finished with each chapter I felt like I had spent time with each character personally. I highly recomend this book. 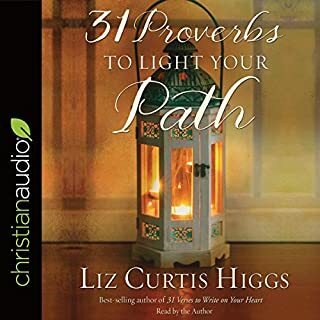 Liz Curtis Higgs, and her written works, never disappoint! She is a giftes storyteller, as well as Biblical teacher. I can't wait to hear/read another one! I find myself sad Hagar. Then Rachel and Leah were put in a situation and decided to turn to God. It is a story of endurance, hope, and love. 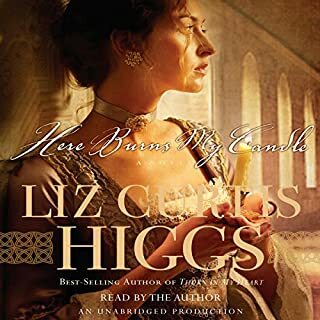 Liz Curtis Higgs is a wonderful author. Love all her books! She really brings the characters in the Bible to life! I thought this was eye opening to say the least. Liz had me laughing quite a few times throughout the book. I learned so much & have recommended this to so many women already. A great purchase. Thank you Liz! Liz never disappoints and always reveals a down hgt side of the story I haven't seen before. I love that she finds humor in the Lord's method of dealing with us. love to listen to her speak. 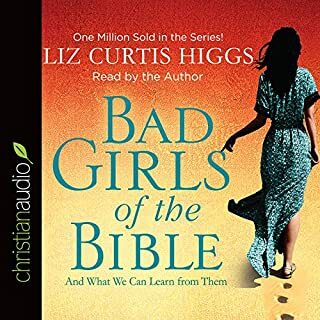 What made the experience of listening to Slightly Bad Girls of the Bible the most enjoyable? Liz is a great communicator and reader, I loved knowing it was her own voice reading the book. Liz has done her homework and her writing was very insightful. I believe her comments regarding the restoration of relationship between Leah and Rachel. Jealousy can tear apart so many families over such trivial things, it is nice to realize that those relationships can be resolved. Of course Rachel's desires had to be fulfilled before mending could occur! Timeless. I understand the focus of the book is to show us how God used totally human people, just like us, to do His good works for and through. So that we can see how we can be close to God and used for His work. Technology has changed, but people and our emotions, desires and fears are the same now as they were then. What did you love best about Slightly Bad Girls of the Bible? If you could give Slightly Bad Girls of the Bible a new subtitle, what would it be? My 16 year old daughter was hooked to this book!! !